Our Mission: The Woodring Wall of Honor and Veterans Park, Inc. will honor all Oklahoma members of the Armed Forces who served honorably or who are serving their country. We will pay tribute to those who gave their lives, were prisoners of war or missing in action throughout the year. We will serve as an educational tool for the general public by preserving the history of veterans and events of war through our programs, projects and static displays. 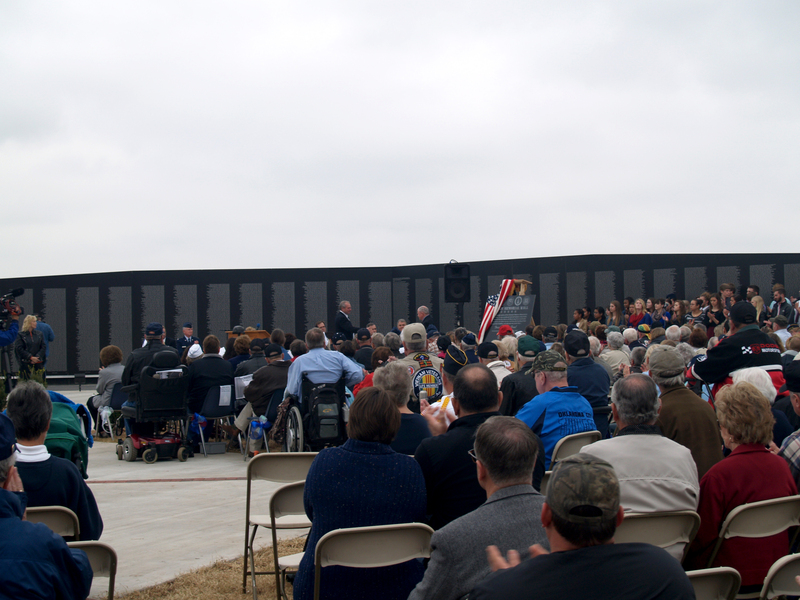 The Wall of Honor is dedicated to the veterans who preserve the freedoms that we cherish. "To Remember, Honor, Educate, and Heal"
The Veterans Day Ceremony will be held Sunday, November 11, 2018, at 10:00 a.m. at the Woodring Wall of Honor and Veterans Park. The keynote speaker for 2014 was Porter Halyburton, an 8.5 year Hanoi Hilton POW with a local connection to the Enid area. His pilot that went down with the F-4 Phantom was Stanley Olmstead, a Marshall resident. Mr. Halyburton was also the keynote speaker for the Legacy Award Ceremony. 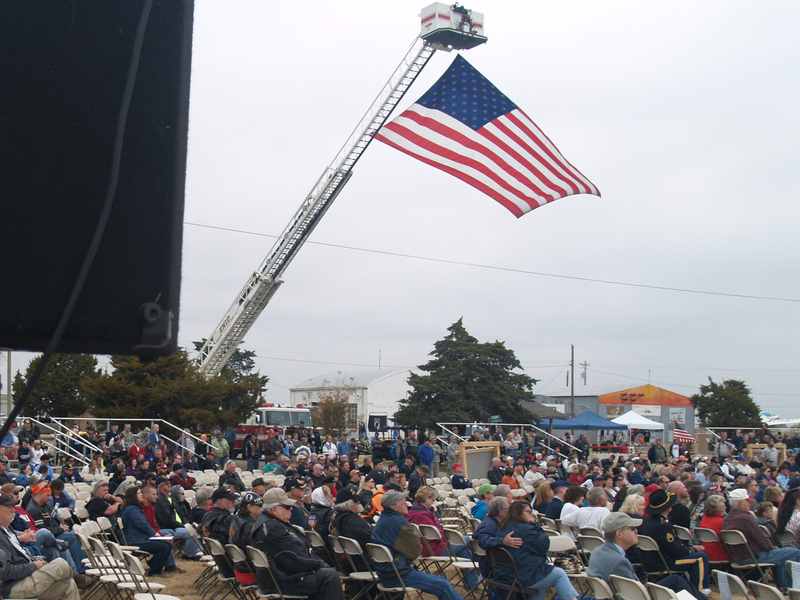 Thank you to the thousands of people who attended the Vietnam Memorial Wall dedication in Enid Monday, Veterans Day, 2013. None of the three board officers are veterans but have a burning passion to honor those who are because of the service of their family members who were and are patriots. The remainder of our board is comprised of US Army Air Corps, Korea, Vietnam and Iraq/Afghanistan. We were honored to be instrumental in providing the vision and selecting the right group of people to bring this project from a dream to a reality. The Dedication Ceremony now has its own page. Please head there for pictures and additional information about the event.